Simmer Connected Recipes is a WordPress plugin for creating a dynamic menu of recipes attached to any post or page. 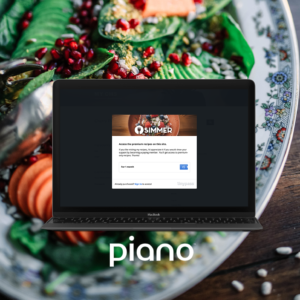 It gives you everything you need to better engage recipes in new content in a variety of ways. 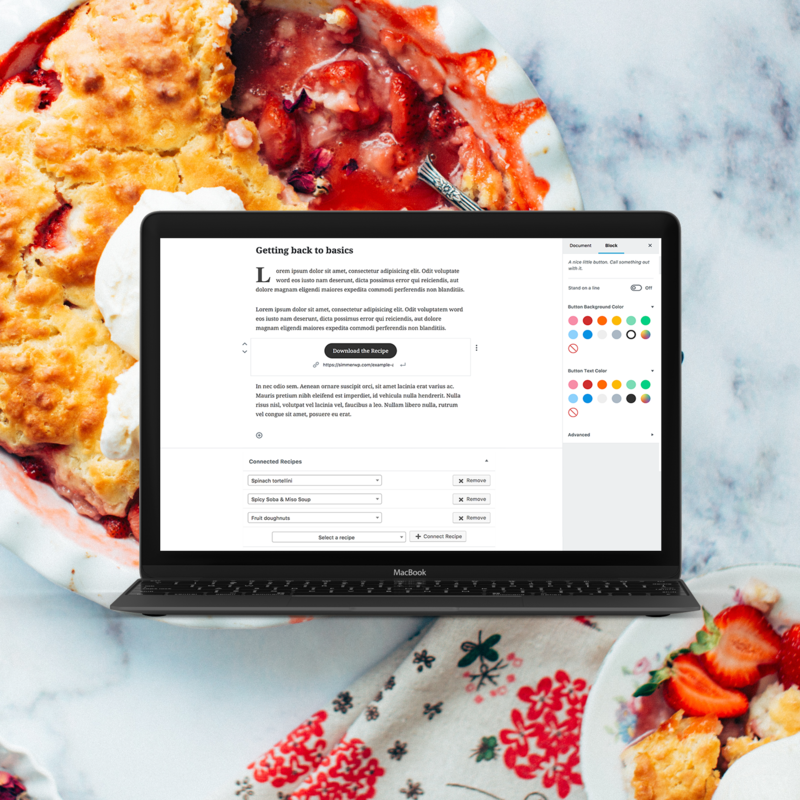 Simmer Pro already gives you all the tools you need to create a recipe within a recipe by adding structured sub-headings in ingredients and instructions lists. However, this plugin takes link building within your site a step further by adding curated and dynamic recipe or featured content lists at the bottom of your design or wherever you customize and place the section. Dynamic links and a customizable design save you time and provide unlimited customizable options. Connected Recipes are displayed under the Get the Recipes headline on posts or pages, and the Posts Featuring this Recipe headline on single recipes. Read the Simmer blog for more information about this plugin, how to combine it with the core plugin and other extensions, plus free business ideas. Connect recipes are displayed under the Get the Recipes headline on posts or pages, and the Posts Featuring this Recipe headline on single recipes. 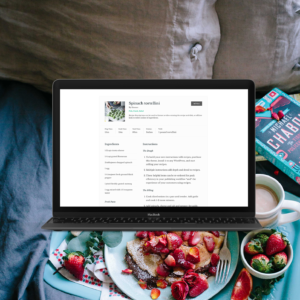 We hope you enjoy your connected recipes as much as we enjoyed creating this plugin to save you time and grow your site or blog’s traffic. Have questions or feedback for us? Check help.simmerwp.com or contact our team for support anytime. Click the button below to get pricing for the Simmer Connected Recipes extension. If you have any questions or need further assistance please contact support.